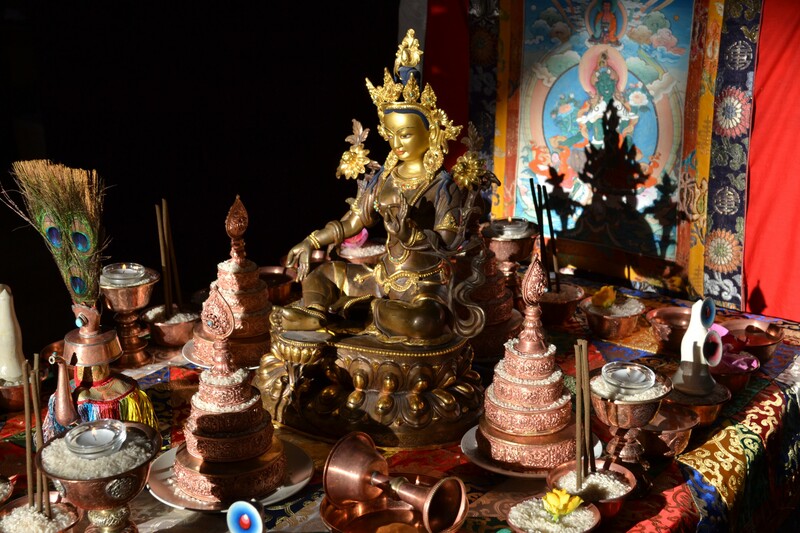 Here is the first part of the Tara Inner Sadhana, where the lineage of the Cokling Tersar is being called upon, as well as the Noble Lady Tara herself. It’s recorded at Rangjung Yeshe Gomde Denmark where we did a week retreat lead by Lama Tenzin and Heidi Köppl from the Triple Excellence program. (www.dharmasun.org). We practiced this sadhana 4 times every day, and one of those times in English. Off course reciting a sadhana in tibetan has a very nice flow and energy to it, the words have blessings straight from the Terma, and have a nice metric form. However it is also important to recite them in English so we can connect to the meaning of the words.